Coffee is our dialy companion, whether as a lifesaver in the morning, as a stimulant in the afternoon or to raise our mood in the evening. 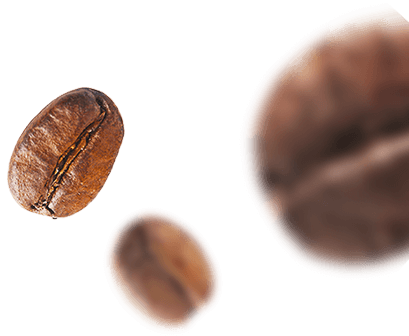 Coffee cherries are a very special fruit whose roasting, preparation and refinement meets the tastes of all generations and cultures. So, it’s not surprising that the meaning of the Arabic word “Kahwe” or “Qahwa” means as much as vitality and strength. Many different myths and legends have shaped the discovery of coffee. The coffee plant comes certainly from Ethiopia. It was discovered in the 15th century by a monk during walk with his goat. His goat was very curious and used to eat a lot of coffee cherries. Afterwards it started jumping around and was still much kicking. Because of this extraordinary behaviour, the fruits and its effect were extensively researched and proved to be a strengtheningplant with positive impact. Due to its properties, the coffee fruit was used for the first time in medicine or served as a kind of tea with hot water. Today, it’s difficult to imagine that coffee was also traded as grain or soy for a long time. Pilgrims and travellers brought new spices and products form all over the world to Europe via various trade routes. Lots of traders discovered the coffee fruit and were enthusiastic about its taste. During this time coffee was considered as an absolute luxury and very expensive product. That’s the reason why just the urban elite and nobility were able to enjoy hot coffee. The first coffee house opened in Istanbul. Later, more coffee houses were built in the Ottoman Empire. Shortly afterwards the European, American and Japanese cultures discovered the delicious taste of coffee. Since the middle of the 19th century, coffee has become a popular drink. Thus, the production of coffee on plantations in South America and Africa boosted the economy. Currently, coffee beans are the most traded raw material in the world. Over 80 % of German adults are drinking coffee daily or several times a week. Moreover, the average consumption of coffee is 0.5 litres per day. The current coffee trend is towards capsules, pads and fully automatic machines and no classic filter coffee anymore. Thus, coffee lovers want to have their coffee quickly in the morning – enjoyment has been replaced by practicability. That is why out coffee-bike team wants to create a moment of enjoyment. With us you can lean back and let yourself be pampered by our barista. 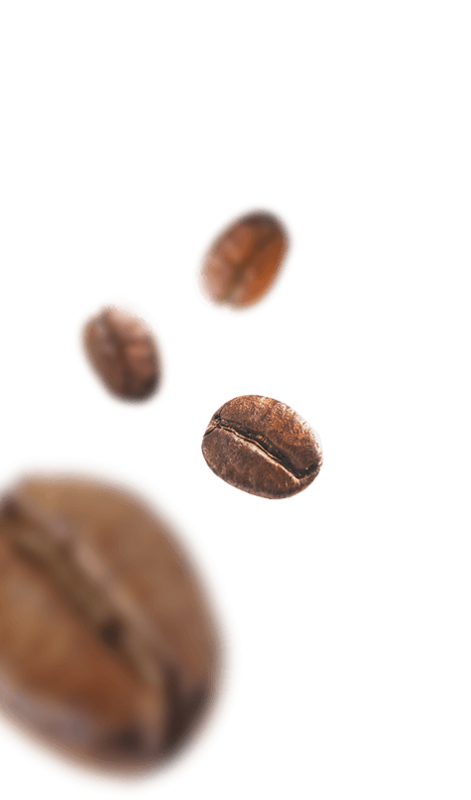 With our own organic Caferino beans, we are making you smile. Various coffee creations are also become more and more popular. Especially the classics cappuccino, latte macchiato and espresso are conquering the world. In addition to the classic coffee specialities, we also offer new taste fields at our mobile coffee bars, such as our winter specials: The Marshmallow Mocha or the Cookie Latte. Do you want to discover special tastes of coffee? Find out more about the coffee taster’s flavor wheel. 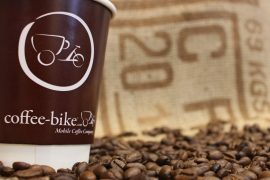 How do I become a Coffee-Bike franchisee?